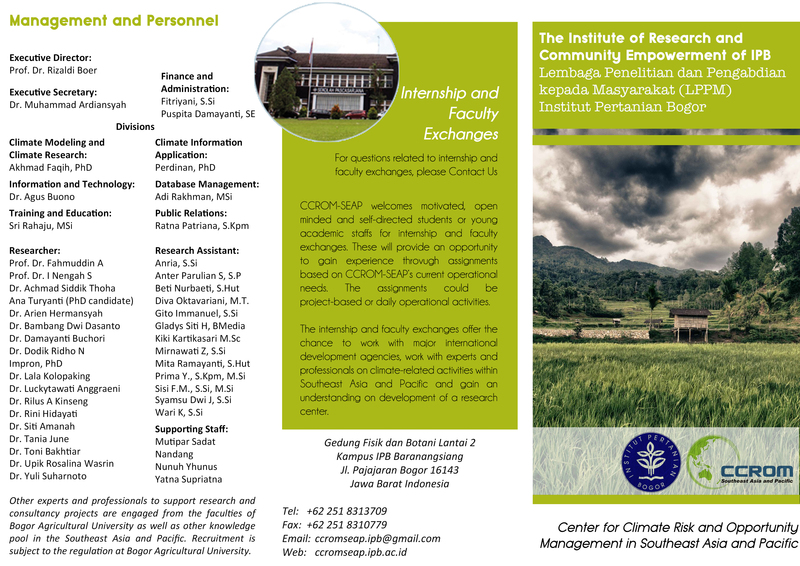 Dewi Sulistyowati graduated her Bachelor Degree from Bogor Agricultural University in Applied Meteorology 2015. 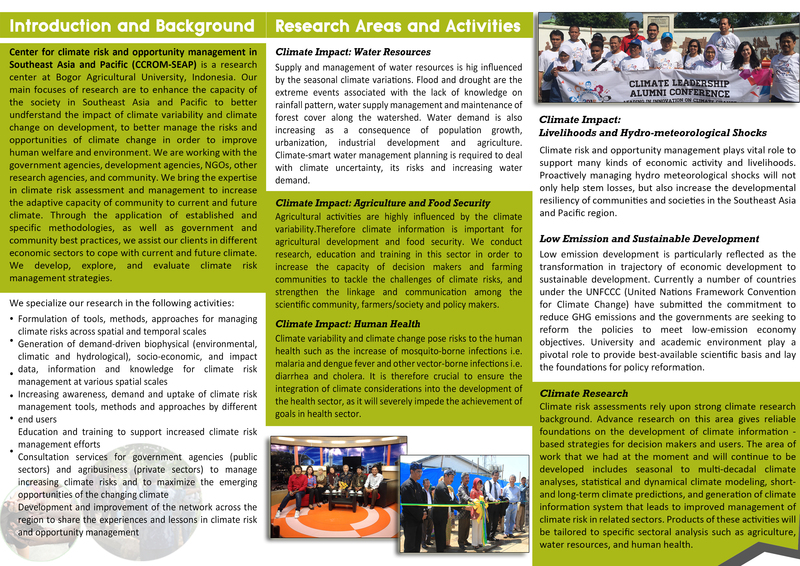 She joined CCROM SEAP since July 2017 as research assistant and involved in several projects such as Coffee Toba Project, Coffee Toraja Survey, and Research for Transport and Energy Consumption Bogor City. She previously worked at WWF Indonesia as temporary staff to help Conservation Spatial planning team to arrange the economic valuation at Bukit Lindung Batabuh. She also completed he internship program to map out public funding agencies in External Affair Team, The Nature Conservancy Indonesia.